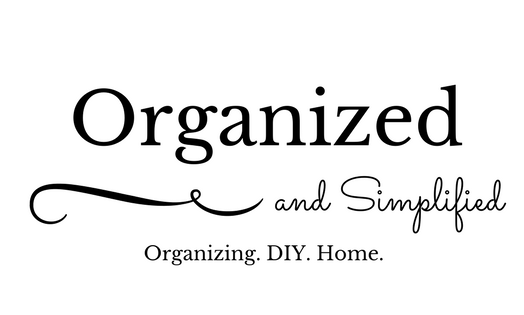 Today, I want to talk about how to simplify your cleaning routines. We used to try to clean our entire house on Saturdays, but then we quickly realized we were losing our entire day to cleaning the house, leaving us no time to do anything else. The solution? Designate certain cleaning tasks to certain days, and deep clean different parts of the house on a monthly basis. We created this cleaning schedule to help us stay on top of the cleaning duties, but also to break up each task so that it doesn’t require such a large chunk of time to complete. We simply check off each task as we complete it and do whatever is left over Friday evening before bed. We created two other cleaning schedules before we made this one, but those other schedules simply didn’t work for our needs. Don’t be afraid to adapt it as needed. If it doesn’t work for you, you won’t do it. We also created cleaning zones, and we keep whatever supplies are required to clean that zone in close proximity. For example, we keep a cleaning kit under the sink in both bathrooms- this kit contains a toilet brush and cleaner, antibacterial bath cleaner, daily shower cleaner, magic sponges, a small hand broom for small messes, and mirror cleaner. We have one in each bathroom. Under the kitchen sink, we have stainless steel cleaner, antibacterial cleaner, window cleaner, magic sponges, and dish detergent. Our multipurpose cleaners that serve multiple rooms (like furniture polish and floor cleaners) are in the laundry room. Don’t try to do everything yourself- even small children can do chores. Give every member of your house one chore that is their responsibility. You can even create a chore chart if your kids like having a visual. Do whatever you can to make cleaning enjoyable for you. I do, for the most part, enjoy cleaning, but listening to music always makes it a much more enjoyable task. If music’s your thing, crank it up. If playing air guitar on your broom makes you smile, go for it. If using cleaners with a pleasant, calming scent speaks to you, make it happen. Do what works for you and don’t feel bad about it. How do you simplify cleaning in your home? My house is NOT perfectly clean. Bloggers strive to present their best foot forward so often that we sometimes forget to show our readers real-life. The truth is, we are real people who are far from perfect…and so is my house. As a mother of two little girls and a mother of two fur-babies, our house is definitely messy at times, and even dirty at times. Chances are, if you were to drop by unannounced, you’d likely see our house in an imperfect state. While I do try to clean weekly, there are some weeks that I cannot give our home the attention I’d like to give it. Today I’d like to share how to make your home appear cleaner than it really is. If you don’t have time to clean your whole house, make sure the high-traffic, or “public” areas of your home get all the attention. Vacuum or sweep the floors in these areas, and wipe down furniture and surfaces with a microfiber cloth to catch any dust or debris. Straighten any rugs or furniture, and fluff your throw pillows. Wipe down those counters, sweep those floors, but most importantly, empty your sink and wash out your sink. Sinks are often the culprit of nasty smells, and it’s true that nothing makes your house look and feel messy like a sink full of dishes. A clean smelling house will not only make your home seem cozy and inviting, it will also make your home feel clean and refreshing. No one wants to smell trash, or worse- diapers or a litter box. Light a few candles, or use some wax burners to make your house smell amazing. My favorite candles are Capri Blue Volcano or Eden Spring candles (pictured above). Having your bed made instantly makes your room feel clean and organized. If you want your room to instantly feel put together and tidy, take a few minutes to make your bed. It truly makes a big difference. Walk through your home and declutter it, room by room. Pick up and put away any visible clutter that is sitting out, in the floor, or just otherwise not put away. Clutter makes your home seem dirty and messy, but when you take a few minutes to put it away, it makes your space seem so much cleaner and organized. I hope you all have enjoyed these tips for making your home feel clean, even when you don’t have time to deep clean it. Next time you’re stressing out because company’s coming and your house is not in perfect, company-ready condition, remember these five tips. Not only will your house feel clean, but you’ll be less stressed and able to enjoy those visitors.